Also appears as "Caprice" only. 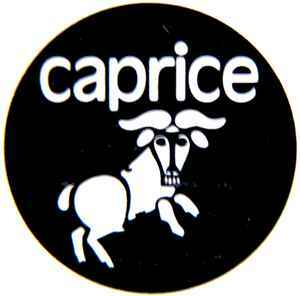 Caprice Records is a part of Musikverket (Swedish Performing Arts Agency) and was formed in 1971 as Rikskonserter’s (Concert Sweden) own label. On this record label you will find primarily Swedish music and musicians, in genres classical and contemporary art music, jazz and folk music. Caprice Records has also produced children’s CDs and historical collections, for example the series “History of Swedish Jazz.” Caprice Records also collaborates regularly with the Swedish Broadcasting Corporation (Sveriges Radio). Nowadays, Caprice’s main function is to re-release productions from its back catalogue, and previously unreleased recordings found in Musikverket's archives, mainly from the collections of Svenskt visarkiv.